The Chauvet Hurricane 700 Fog Machine gets the fog bank rolling with a 450W heater that puts out 1,500 cubic feet of fog per minute. 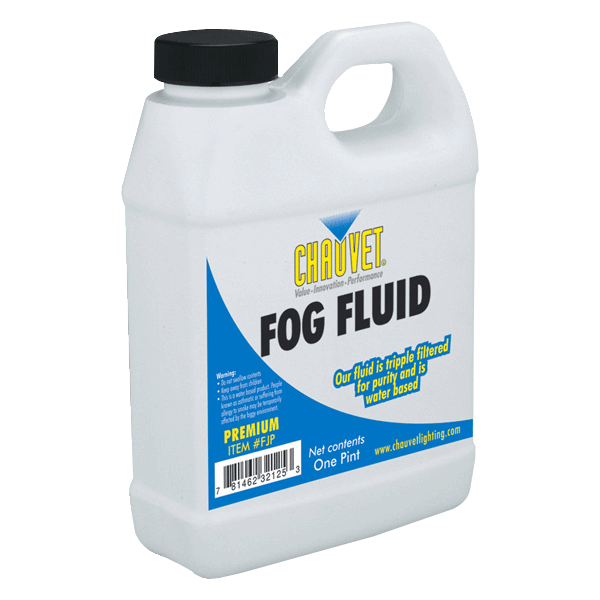 The Hurrican 700 has a .8L tank capacity, and comes with a free pint of fog juice. The Chauvet Hurricane 700 Fog Machine gets the fog bank rolling with a 450W heater that puts out 1,500 cubic feet of fog per minute. The Hurrican 700 has a .8L tank capacity, and comes with a free pint of fog juice. 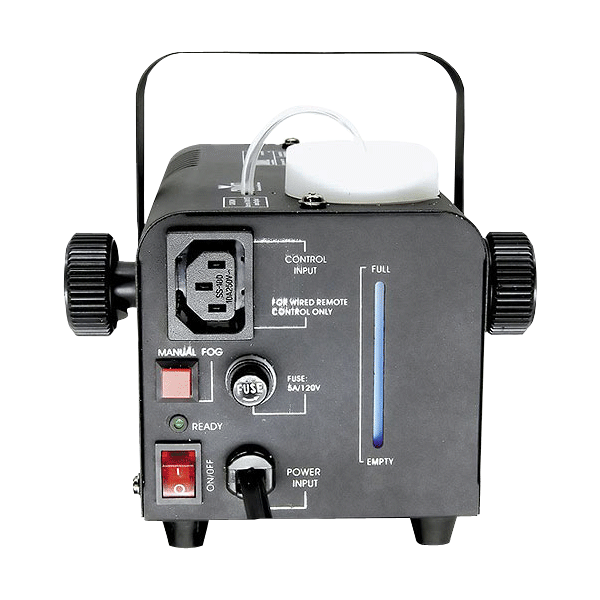 This Chauvet fogger also has a manual fog button, and is packaged with a wired remote (FC-1). 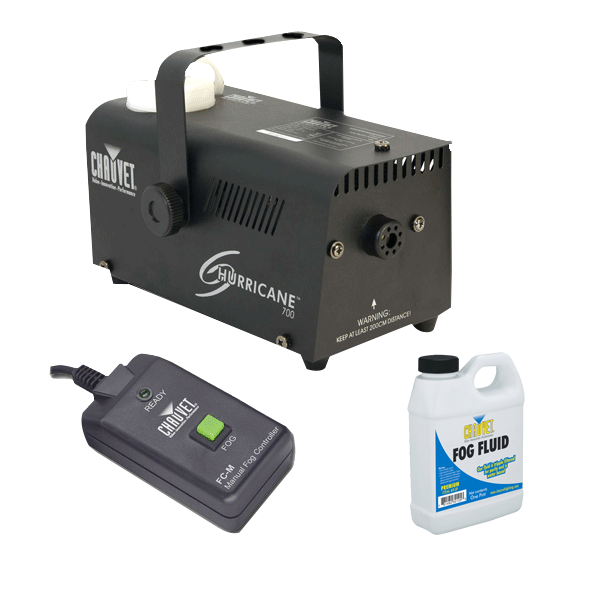 In only 4 minutes the Hurricane 700 fogger is heated up enough to provide a great atmospheric effect at your event.